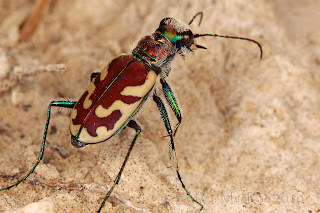 The tiger beetles are a large group of beetles known for their aggressive predatory habits and running speed. 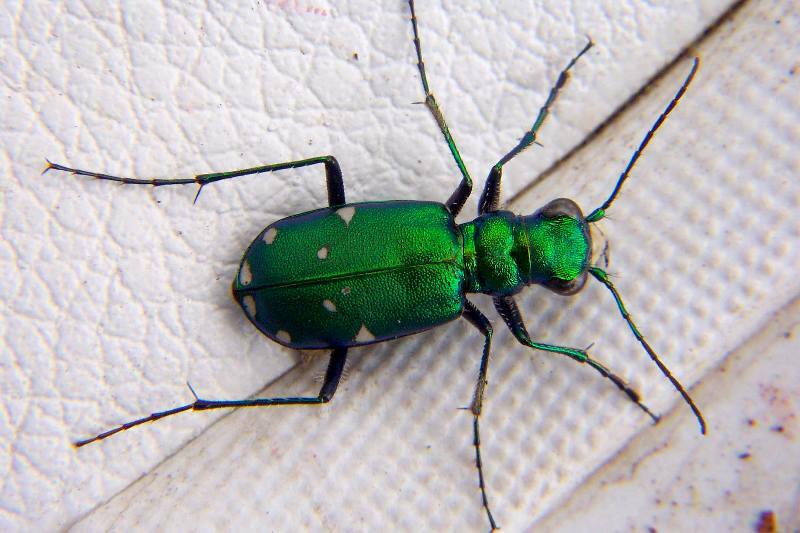 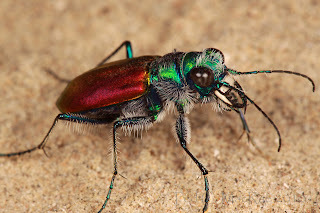 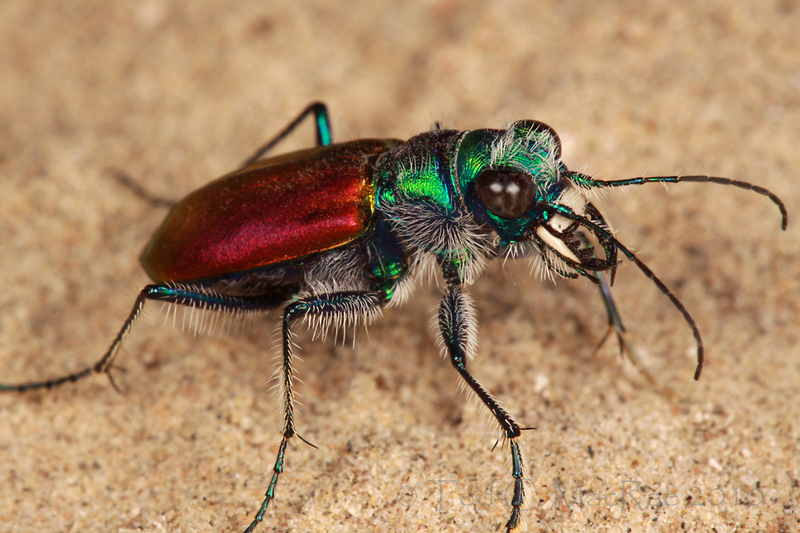 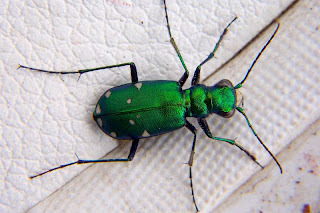 The fastest species of tiger beetle can run at a speed of 9 km/h (5.6 mph), which, relative to its body length, is about 22 times the speed of former Olympic sprinter Michael Johnson, the equivalent of a human running at 480 miles per hour (770 km/h). 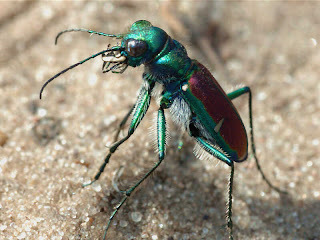 As of 2005, about 2,600 species and subspecies were known, with the richest diversity in the Oriental (Indo-Malayan) region, followed by the Neotropics.